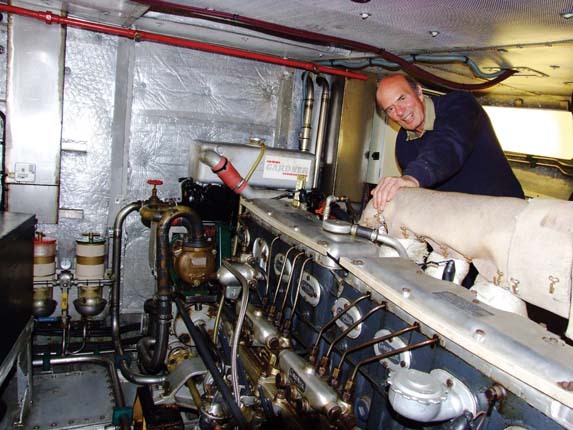 A quick post to refer you to a 2016 article in Yachting World magazine which Christine came across with an article about a fascinating fellow ex sailor now eXtreme eXploration passage maker David Cowper who recently completed one of the most challenging passages through the Northwest Passage. Cowper, a Brit, has completed three circumnavigations by both sail and power and in 1990 was named Yachtsman of the year. Quite rightly so I would say with feats such as being the fastest to sail single-handed around the world in both directions before he made the transition from sail to power in 1984. Well worth the few minutes it will take you to read the full article. David’s current boat mv Polar Bound is a custom designed pilot/lifeboat like 48 foot all aluminium with eXtremely thick plate up to 15mm with very close and heavy inner framework supporting it, is self righting, very heavily insulated, sealed collision bulkhead compartment up front, thick keel bar from stem to stern, huge integral fuel tanks below the waterline and stocked with spare parts for everything. 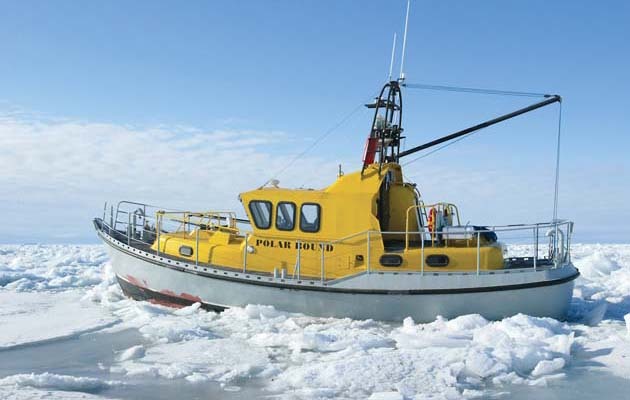 And what powers this eXtreme eXploration power boat though ice and around the world? A Gardner of course!! In David’s case it is the 8 cylinder version of the same Gardner LXB family as will be powering have in Möbius. Certainly not the boat or the life for most people but we certainly resonate with many aspects of it, though probably with a bit more time in tropical climates than David does. But when it comes to boats we are in heated agreement with David that the combination of eXtremely thick and strongly framed aluminium powered by an eXtremely efficient and reliable Gardner is the just right Goldilocks combination for these kinds of eXtreme eXploration Passage Makers. Congratulations David! We follow humbly and proudly in your wake. Very interesting, but a tropical trip seems more exciting than through all that cold ice!! Yes, Christine and I are both very much tropical birds so we will likely spend the most time on Mobius following our 20/20 rule (within 20 degrees of the equator). However part of what excited us about making the transition from sailing to power and this kind of an XPM style boat, was the ability to experience some high latitude explorations in the same comfort and safety as the tropics. So we have gone to the same kinds of eXtreme degrees for the insulation and heating of Mobius as we have for all the other parts of her design and outfitting. We will insulate her extensively throughout with very thick EPDM stick on foam sheets, we have a diesel fired boiler to provide hot water to both the air handlers AND the heated floors located in each of the three living areas. Glass in the SuperSalon has a film to reduce thermal transfer and will have double cellular shades on them as well. So that and some good clothing and we should be all set for the more ice bound parts of the world which are home to some of the most spectacular natural beauty, wildlife, people and remote anchorages on the planet.